Presented in January 2018, the Urban features the typical hallmarks of a MeisterSinger watch but in a variation that makes this model immediately recognizable for its large digits placed at 12, 03, 06, and 09 o’clock in striking typography. 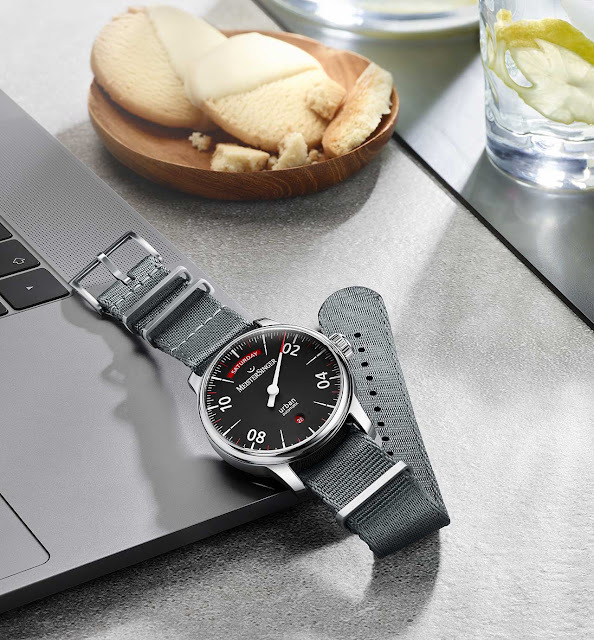 In 2019 the German watchmaker, the specialist in the manufacturing of single hand watches since 2001, is expanding the line with the new Urban Day Date. 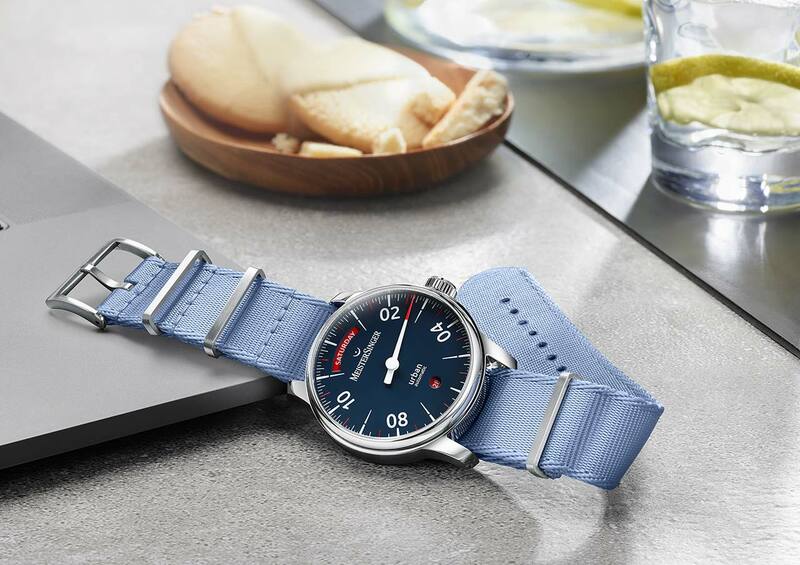 As the name suggests, this model features an easy-to-read day and date display with the weekday at 12 o’clock and the current date at 6 o’clock. 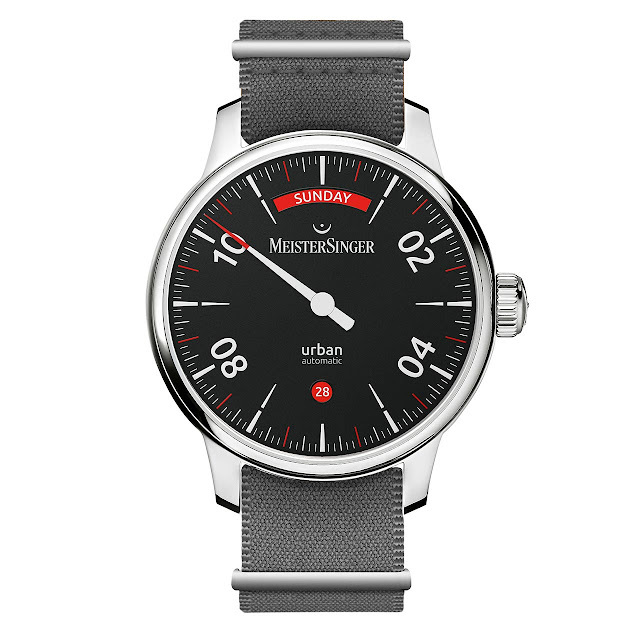 The Urban Day Date is the only MeisterSinger watch to display the typical twin hour digits only at 02, 04, 08, and 10 o’clock, a detail which emphasises its dynamic look, just like the red tip of the single hour hand. The Urban Day Date is available in four different dial designs; the day and date windows underscore the distinctive geometry with a matching contrasting colour. 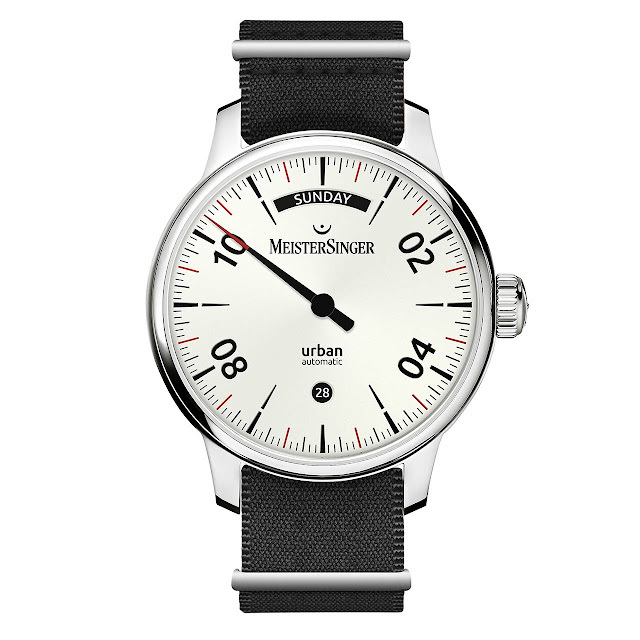 The opaline silver and sand grey versions are fitted with black date disks, while in the black and blue versions they are a vibrant red. 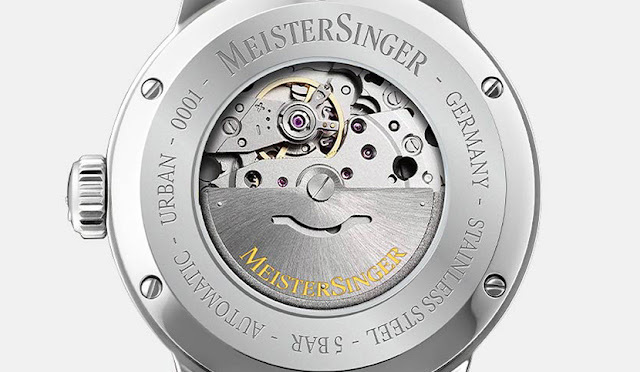 Offering water resistance to 50 metres /165 feet, the 40 mm stainless steel case of the Urban Day Date houses a reliable automatic movement, the 4 Hz (28,800 vph) Miyota 8285 Calibre, whose mechanisms and rotor engraved with the MeisterSinger logo can be observed through the screwed glass exhibition back of the stainless steel case. The mainspring stores the power for 42 hours. In 2019 MeisterSinger, the German watchmaker specialist in the manufacturing of single hand watches since 2001, is expanding the line with the Urban Day Date. 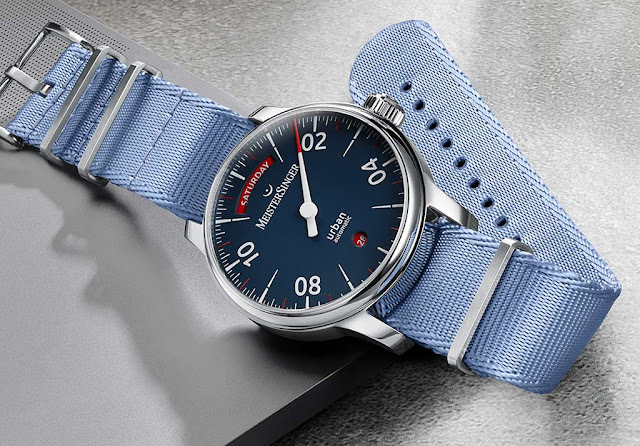 Matched to a robust and versatile textile strap, the Urban Day Date will be available end of February 2019 with a price of Euro 995. The opaline silver and sand grey versions are fitted with black date disks, while in the black and blue versions they are a vibrant red.